The much-anticipated reduction strategy is expected to be announced "very soon." Federal Minister of Families, Children and Social Development Jean-Yves Duclos is seen at a youth homelessness organization in Toronto on June 11, 2018. OTTAWA — Newly released documents suggest the federal Liberal government plans to sell its forthcoming poverty reduction strategy as an all-encompassing exercise that will be greater than the sum of its parts. The effort to craft a storyline to market the plan to Canadians has been going on for almost a year. Jessica Wesley holds her two-month-old son Kenneth in her apartment in Toronto on March 3, 2017. A study was release last year that examined how much it costs to raise children in Canada, and what it means for government efforts to provide meaningful family benefits and fight child poverty. Top officials from multiple departments met last November to brainstorm how best to include various government spending programs under the banner of Canada's first-ever federal poverty reduction strategy, which is being overseen by Employment and Social Development Canada. A briefing note, obtained by The Canadian Press under the Access to Information Act, says the public strategy will make reference to myriad federal programs and link them back to efforts to reduce poverty. "The poverty reduction strategy that is publicly released, however, would be inclusive, making references to all activities across the federal government that have contributed, or will be contributing, to a reduction in poverty,'' read the briefing note from Infrastructure Canada. Infrastructure Canada officials noted that spending on new recreational centres, for instance, will provide spaces and a "broad spectrum of services'' to vulnerable populations like youth, low-income families and Indigenous Peoples. Likewise, spending on public transit can be sold as providing helping low-income families. A spokesman for Social Development Minister Jean-Yves Duclos says the government has already taken steps to reduce poverty and increase opportunity in Canada and plans to improve on measures through the final strategy. ''Our government believes that every Canadian deserves a real and fair chance to succeed," Michael Brewster said. Conservative social development critic Karen Vecchio said that if the Liberals were looking to sell a whole-of-government poverty plan, then the strategy should take into account every aspect of federal policy, including trade tariffs. Watch: Trudeau says poverty is "sexist"
The messages in the document are feeding growing nerves from stakeholders that the final plan may offer little in the way of new money or bold policy because not everyone in the government sees the political upside to spending on poverty. That has anti-poverty groups feeling wary that the government is embarking on a public relations campaign to promote steps it has already taken. 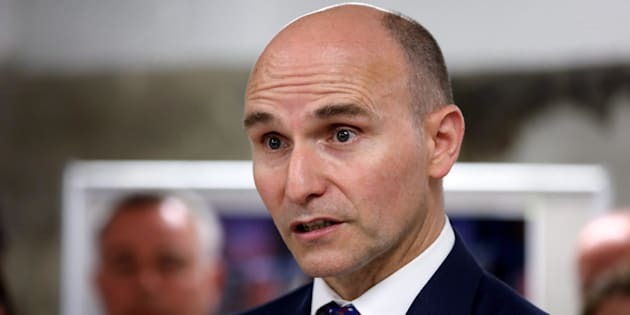 In recent days, Duclos and other Liberals have taken to social media to talk about changes to the Canada Child Benefit, which will now keep pace with inflation. The Liberals originally planned on making the change in 2020. The Liberals say the means-tested child benefit is lifting some 300,000 children out of poverty over 2013 levels, although official figures for 2017 — the first full year of the benefit — won't be available until 2019.